Needle allegedly found in Berry Obsessions strawberries purchased from Woolworths at northside Brisbane. Pic: Supplied. UPDATE: A DISGRUNTLED former employee is suspected of sabotaging strawberries with sewing needles in a move that has sparked health alerts in three states. Health authorities are warning people who have bought strawberries in Queensland, NSW and Victoria to throw suspect punnets out after several incidents of needles being found in strawberries sold at Woolworths. Queensland Health and police today urged people who bought strawberries sold under the brands Berry Obsession and Berry Licious across the eastern seaboard in the past week to throw them out, after three separate incidents in Queensland and Victoria. They are sold at Woolworths and possibly other outlets. A product recall was under way. Police suspect the ground-down needles were deliberately planted in the punnets, with the culprit intending to cause "grievous bodily harm or other objectives". 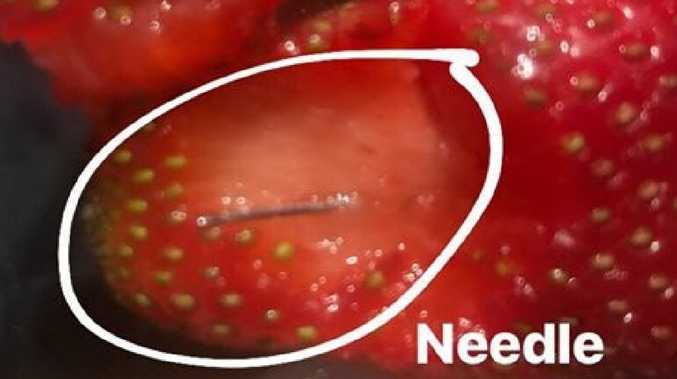 EARLIER: SEWING needles have been found inside strawberries sold at Woolworths and consumers are being advised to throw out any old fruit they may still have. Queensland Chief Health Officer Jeanette Young said anyone who had bought strawberries in Queensland, NSW or Victoria since early last week should get rid of them. The needles were found in punnets of fresh strawberries from Berry Liscious and Berry Obsession but consumers are being advised to throw any fruit if they are worried. A single supplier from southeast Queensland supplied the fruit to three Woolworths supermarkets in Queensland and Victoria where consumers found the needles. They also supply to stores in NSW. 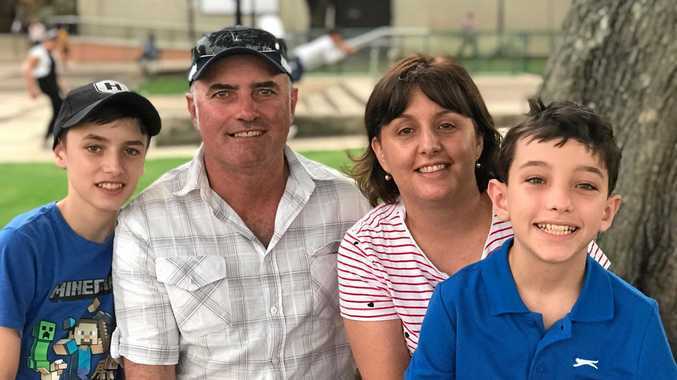 Ms Young said the first case emerged on Sunday when a person complained of eating a contaminated strawberry in Queensland. Last night two further cases emerged in Victoria. Acting Detective Chief Superintendent Terry Lawrence said there was no evidence of extortion but police inquiries were continuing. He urged anyone who found a needle in a strawberry to provide this to police. "We're fairly confident if people do come forward with a needle in a strawberry, particularly with the packaging, that will provide us with some information," Acting Detective Chief Superintendent Lawrence said. Queensland Police suspect the needles were placed deliberately. Stores will be throwing out strawberries currently in stock but fresh produce will be available tomorrow, Ms Young said. Anyone with concerns can phone 13 HEALTH for advice or speak to their GP.